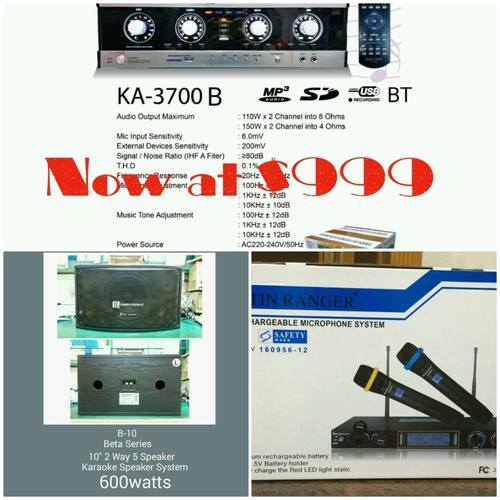 For ALL Orders, please call 81810307 Developed & Assembled in Singapore! 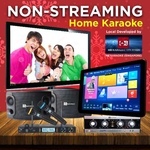 All in one karaoke with touchscreen Surprise your family with endless hours of Karaoke! 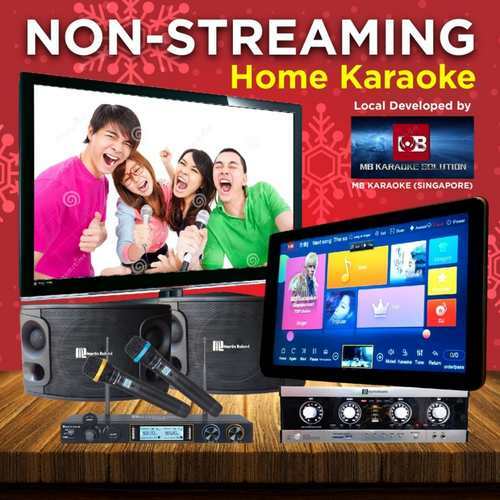 Simply Plug, Play & Sing! Developed & Assembled in Singapore! 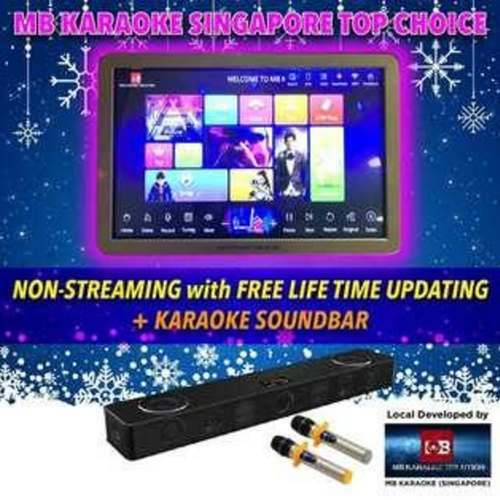 1) MB Karaoke All in one Home karaoke touchscreen System From $1199 Consist: Touchscreen 2tb, 3tb, 4tb, 6tb harddisk One Martin Roland amplified One pair of Martin Roland speaker One pair of wireless microphone MB Touchscreen System is a professional user-friendly touchscreen karaoke system. Just plug to your TV and our sound system and you can immediately start singing! 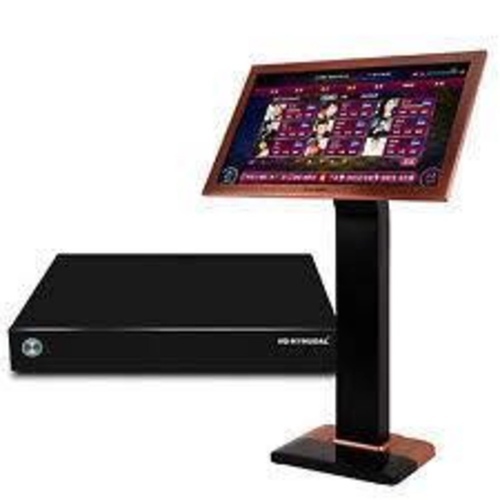 MB Touchscreen System Specs: - Touchscreen 2tb, 3tb,4tb,6,tb harddisk - User-Friendly Interface Software (Even for the elderly!) - Multi-Language User Interface - Neatly Categorised List (Artist Name, Languages etc.) 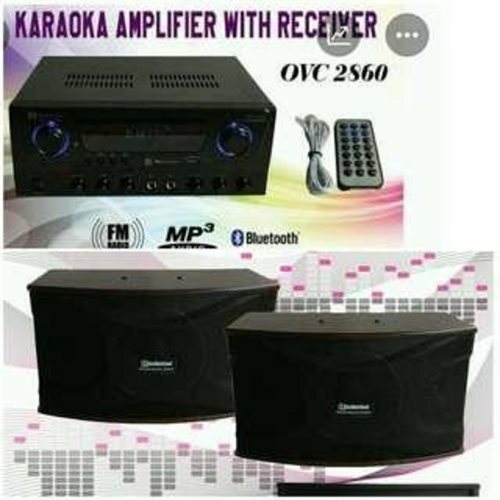 - FREE Monthly Online Updates - Supports ICloud library 330.000 songs - Supports HD 1080 MV+ Blueray - 2.4GHz WiFi Network Dongle - Support smart phone and android phone - Selection song on phone - Delete or adding songs on your own More Professional bik Karaoke ,Martin Roland ,rexy Onkyo,bmb Systems,soundbar available too! Please enquire with our sales team.